F. Sionil José or in full Francisco Sionil José (born December 3, 1924) is one of the most widely-read Filipino writers in the English language. His novels and short stories depict the social underpinnings of class struggles and colonialism in Filipino society. José's works - written in English - have been translated into 28 languages, including Korean, Indonesian, Russian, Latvian, Ukrainian and Dutch. He has been awarded numerous fellowships and awards, most notable being the 1980 Ramon Magsaysay Award for Journalism, Literature, and Creative Communication Arts, the most prestigious award of its kind in Asia, the 2001 National Artist Award for Literature, and most recently, the 2004 Pablo Neruda Centennial Award from Chile. National Artist for Literature. Bienvenido Lumbera is well-known for his seminal works in criticism, which include Tagalog Poetry 1570-1898: Tradition and Influences in Its Development; Abot-Tanaw: Sulyap at Suri sa Nagbabagong Kultura at Lipunan; and Writing the Nation/Pag-akda ng Bansa. His poetry collections include Likhang Dila, Likhang Diwa and Balaybay: Mga Tulang Lunot at Manibalang. He has produced a number of significant librettos which have been produced on stage, such as Tales of the Manuvu; Rama Hari; Nasa Puso ang Amerika; Noli Me Tangere: The Musical; Hibik at Himagsik Nina Victoria Laktaw; and Banaag at Sikat. Lumbera is a recipient of the Ramon Magsaysay Award for Journalism, Literature and Creative Communication Arts. He holds the title of Professor Emeritus at the University of the Philippines. He is the current Chairman of Philippine PEN. Fictionist, scriptwriter, singer extraordinaire. 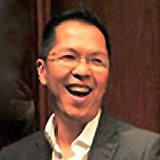 Charlson Ong's first novel Embarrassment of Riches won a Centennial Literary Prize given by the Philippine Government. His short stories are included in the collections Men of the East and Other Stories; Woman of Am-Kaw and Other Stories; and Conversion and Other Fictions. Banyaga: Song of War is his second novel. He teaches literature and creative writing with the University of the Philippines' Department of English and Comparative Literature. Lito Zulueta earned his AB journalism and MA literature degrees from the University of Santo Tomas (UST), where he teaches journalism, literature and popular culture. 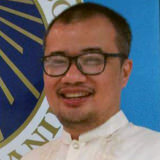 He is the Publications Director of The Varsitarian, UST’s student paper, book section editor of the Philippine Daily Inquirer , and a highly-esteemed member of the Manunuri ng Pelikulang Pilipino (MPP), an organization of film critics that awards the annual Urian Awards, the country’s most prestigious film awards. Zulueta also served as Chair of the Committee on Literary Arts, National Commission on Culture and the Arts (NCCA) and a frequent judge during the annual Cinemalaya Philippine Independent Film Festival. 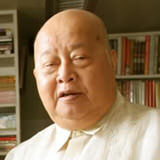 Elmer Ordoñez was born on December 15, 1929 in Juban, Sorsogon. Educated at the University of the Philippines (A.B., M.A. in English), University of Wisconsin, Madison, USA (Ph.D. in English), Oxford University, UK (post-doctoral study), and McGill University, Montreal (Diplomas in Education). He taught at the University of the Philippines, De La Salle University, Clarkson College, New York, St. John's University, New York City, Universiti Sains Malaysia, Penang, and Carleton University, Ottawa, Canada. 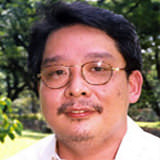 He is an acknowledged internationally as a Joseph Conrad scholar for his book The Early Joseph Conrad: Revisions and Style, University of the Philippines Press, 1969, and scholarly essays on Conrad in Notes and Queries (Oxford), Diliman Review, and Philippine Social Sciences and Humanities Review. He was National (Philippine) Editor for Conradiana, the journal of the Joseph Conrad Society. He was given the SEA WRITE literary award for 2008 in Bangkok and the NCCA Ani ng Sining Award (for literary arts) for 2009. Recipient of the Marcelo del Pilar award from the College Editors Guild, 2003. 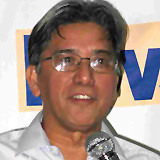 Jose Wendell P. Capili earned his degrees from UST, UP Diliman, University of Tokyo, University of Cambridge and The Research School of Pacific and Asian Studies, Australian National University, where he completed his PhD on the emergence of Southeast Asian Diaspora Writers in to Australia from 1972 to 2006. He has published 6 books and over 300 articles. He received Carlos Palanca, Cultural Center of the Philippines, UST and UP Gawad Chancellor awards for his poetry and essays as well as local and international scholarships, grants and fellowships. He is a Professor of Creative Writing and Comparative Literature, UP Diliman and the Assistant Vice President for Public Affairs & Director, Office of Alumni Affairs, University of the Philippines System. 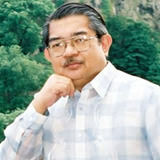 Herminio Beltran, Jr. is the author of Lemlunay and Bayambang, collections of poetry in Filipino, Iloko and English. 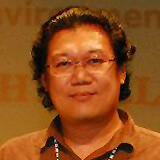 He is the editor-in-chief of ANI, the literary journal published by the Cultural Center of the Philippines (CCP). He is currently the Head of the CCP Literary Arts Division. In 2002, he received the Gawad Alab ng Haraya given by the National Commission for Culture and the Arts (NCCA) for outstanding articles on culture and the arts. Karina Africa Bolasco has been in the book publishing business for thirty-three years now—ten years at National Bookstore and twenty-three years at Anvil, which she founded and grew into the biggest and most prestigious publishing house in the Philippines today. Anvil has been cited Publisher of the Year ten times and close to 136 of its titles have been given the National Book Award in different categories by the Manila Critics Circle. Karina was hailed as one of the Ten Outstanding Women in the Nation’s Service in 1995 for her work in book publishing and literacy development. She was the 2004 Fellow for the Asia Leadership Fellow Program of the Japan Foundation and International House of Japan. 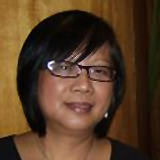 She also represented the Philippines in the US-State Department International Visitor Program of 2005. She was a former chair of the National Committee on Cultural Education of the National Commission on Culture and the Arts (NCCA) from 1995 to 2001 and a current governor of the National Book Development Board (NBDB). She has delivered a paper twice at the International Publishers Association Congress, in New Delhi (1992) and in Berlin (2004), and has spoken in many other book publishing conferences on publishing issues. She holds a Bachelor of Arts degree in Literature. Merging the best of both worlds, Nicolas Pichay has gained success in the fields of law and literature. While working as a legal practitioner who has authored various publications on government codes and policies, Nicolas has also made his mark as an acclaimed playwright and poet with Carlos Palanca and Cultural Center of the Philippines prizes and numerous other accolades under his belt. 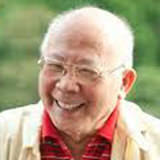 He received the Palanca Hall of Fame Award in 2007. A 2009 O'Boyle Fellow of the Asian Cultural Council in New York, Nicolas also taught business law at the College of St. Benilde and playwrighting in De La Salle University and his alma mater, the Philippine High School for the Arts. Writer, painter, sculptor, film documentarist. Jun Cruz Reyes is best known for his fearless novels, such as Utos ng Hari (King's Decree) and Tutubi, Tutubi 'Wag Kang Magpahuli sa Mamang Salbahe (Dragonfly, Dragonfly, Don't Allow Yourself to Get Caught by a Bad Guy). He received the Gawad Alagad ni Balagtas given by the Unyon ng Manunulat sa Pilipinas (UMPIL) in 2002. If one writes to "to irritate power," Reyes is said to be one writer who consistently writes to upset the State and society. 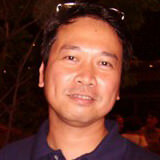 He is an Assistant Professor of the College of Arts and Letters at the University of the Philippines. 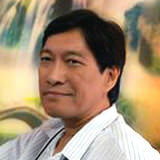 Ed Maranan is a prize-winning essayist, poet, fictionist, playwright, author of children’s books, and translator. He is a former assistant professor of Philippine Studies at the UP Asian Center, instructor of Political Science at the UP College of Arts and Sciences, and for fifteen years served as press and information officer of the Philippine Embassy in London. He was Philippine Fellow at the Iowa International Writing Program in 1985 and the Lavigny International Writers Residency in Switzerland in 2006. Inducted into the Carlos Palanca Memorial Awards for Literature Hall of Fame in 2000, he has won a record number of prizes in the Palanca annual literary competition for his works in various genres, in both English and Filipino. He has also won awards from the Cultural Center of the Philippines, National Commission for Culture and the Arts, Philippine Graphic magazine, Philippines Free Press, Palihang Aurelio Tolentino, and the PBBY-Salanga Writer’s Prize competition. 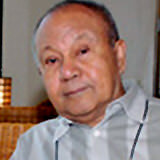 He was conferred the Gawad Pambansang Alagad ni Balagtas by the UMPIL in 2008 and the Gawad Francisco Balagtas by the Komisyon sa Wikang Filipino in 2009. His third book of poetry, Passage / poems 1983-2006, won the National Book Award in 2008, while an anthology he co-edited with his daughter Len,A Taste of Home: Pinoy Expats and Food Memories, was a finalist for the National Book Award in 2009. Ed is an active member of PEN Philippines, the Baguio Writers Group, and UMPIL (Unyon ng mga Manunulat ng Pilipinas or Writers Union of the Philippines). 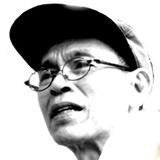 An activist during his years at the University of the Philippines, both as a student and faculty member, he was a political prisoner for more than two years during the Marcos dictatorship, and wrote many of his literary works while in prison. Victor Peñaranda has two published collections of poetry: “Voyage in Dry Season” and “Pilgrim in Transit.” Another collection of poems and prose on his experience in the Kingdom of Bhutan, “Lucid Lightning,” is awaiting publication. 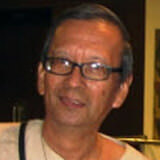 He was involved with civil society organizations in the Philippines during the 1980s and the early 90s. He turned to journalism in 1995-1997. He was later engaged by an international development organization as program officer in southern Philippines and was assigned for several years in Bhutan and Macedonia. He now works independently as writer-researcher and trainer-facilitator on themes related to governance, community development, and theosophy. He and his wife, Josephine, reside in the province of Laguna. Amadís Ma. 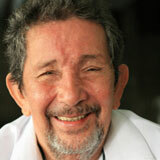 Guerrero is a short-story writer, author, and a cultural-travel journalist. He has published numerous books of short stories (often about life in Manila, where he was born), travel essays (for he has travelled the length and breadth of the Philippine archipelago), and deluxe volumes on Philippine art and culture. He has won Carlos Palanca Memorial and Manila Critics Circle for his short stories and travel essays. Mr. Guerrero writes in English, and some of his short stories have been translated into German, Czech and Filipino. Writing is in his blood, for he is a seventh-generation member of the Guerreros of Ermita, Manila, a family of writers and physicians. Glenn Sevilla Mas is a Ford Foundation International Fellow who earned his MFA in Playwriting from the Catholic University of America in Washington, DC. His plays have been presented at the Callan Theater and the Kennedy Center in Washington, DC; the Top Floor Theatre in Baltimore, Maryland; the Lion Theatre in Philadelphia; The Black Box Theatre in Shanghai, People’s Republic of China; the Cultural Center of the Philippines; and the Ateneo de Manila University. A jury member of Gawad Buhay: The Philstage Awards for the Performing Arts since 2009, he has represented the country in theater festivals and conferences in France, Australia, Bangladesh and the United States. He has won nine Palanca awards for his plays and has three books published by the University of Santo Tomas Publishing House. His play "Children of the Sea" is included in "Stage Presence: The Philippine PEN Anthology of Drama" published in 2008. Currently, he is an assistant professor and the Theater Arts Program Coordinator of the Ateneo de Manila. Described as the enfant terrible of Bikol contemporary writings, he has written three books of poetry in two Bikol languages and in Filipino. His third book, Pusuanon: Mga Bersong Bikol (With Selected Translations by Marne L. Kilates and H. Francisco V. Peñones Jr.) first published by Goldprint Publishing House (2007) and republished by Ateneo de Naga University Press (2009) was finalist for Best Poetry Title in the 27th National Book Awards. He has received awards from the Palanca, Homelife Poetry Contest, Premio Tomas Arejola Para sa Literaturang Bikol, Madrigal-Gonzales Best First Book Award (for Mga Tulang Tulala) and the Maningning Miclat Poetry Prize for 2009. 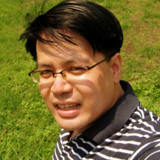 He writes for Bicol Mail and Vox Bikol, two weeklies in the region and lectures at Ateneo de Naga University. Santiago B. Villafania, a bilingual poet who writes in English and in his native language of Pangasinan, is the author of five poetry collections: Ghazalia: Maralus ya Ayat (2013), Bonsaic Verses (2012), Pinabli & Other Poems (C&E Publishing / De La Salle University, 2012), Malagilion: Sonnets tan Villanelles (Komisyon sa Wikang Filipino, 2007), and Balikas na Caboloan (Voices from Caboloan, 2005) published by the National Commission for the Culture and the Arts under its UBOD New Authors Series. His second book, Malagilion was a finalist in the 2007 National Book Award for Best Book of Poetry; he also won the Gawad Komisyon (Gantimpalang Tamayo sa Tulang Pangasinan) for Pangasinan poetry in 2007. Villafania has been published/anthologized in several countries and some of his poems have been translated into several languages, including Spanish, Italian, Arabic, and Hindi. His unpublished book of poems ‘Murtami’ was translated into Hindi entitled ‘Premanjali’ released in the New Delhi World Book Fair in 2013. He is one of the 11 Outstanding Pangasinenses and was conferred with the 1st Asna Award for Arts and Culture (Literature) in 2010. He currently writes a literature and culture column for the "Sunday Punch".